Sorry for being MIA. I’ve been very busy with school and work. In the midst of the craziness I decided to take an overnight staycation with my girlfriend CW at the Old Mill Inn. I love staycations because it’s a quick getaway without having to go too far and spend too much. We chose the Old Mill because of it’s history and charm. It felt like we left the city without leaving the city. I didn’t take too many pictures of the grounds but you can see the loveliness here. 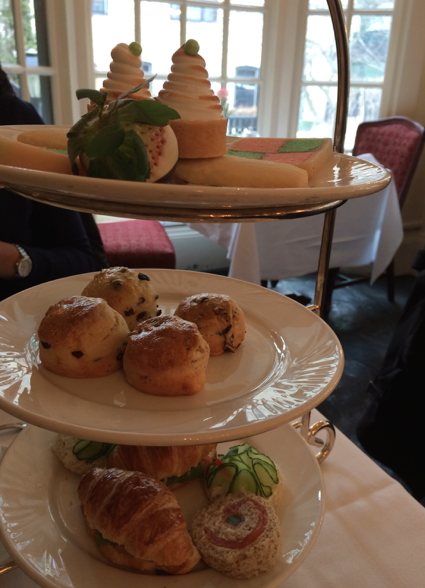 The tea service was nice. CW really enjoyed the selection of scones and sweets. I liked the cucumber sandwich. I tried the creme au carame rooibos and we received a package of the centennial tea to try at home. We then headed off to the spa to for a Swedish massage. My therapist Maria M. was wonderful. She got all the knots and I felt amazing after. CW tried the infrared sauna. I headed back to the room to try the jacuzzi. 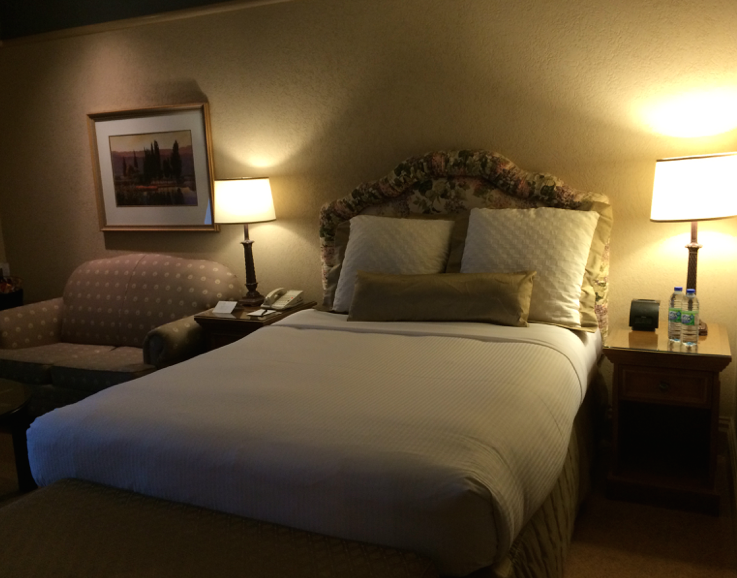 The rooms are quite lovely…cozy and “modern cottage”. It reminded me of The Ritz San Francisco without the “dated” part. The stereo was playing jazz in the background and the bathroom was huge with plenty of towels and organic bath products. 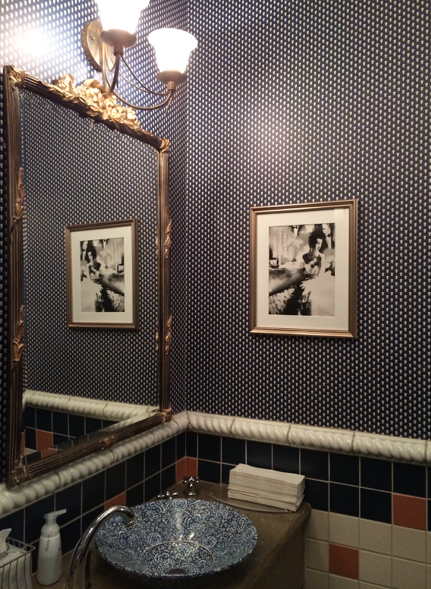 We both loved the speakers in the bathroom. 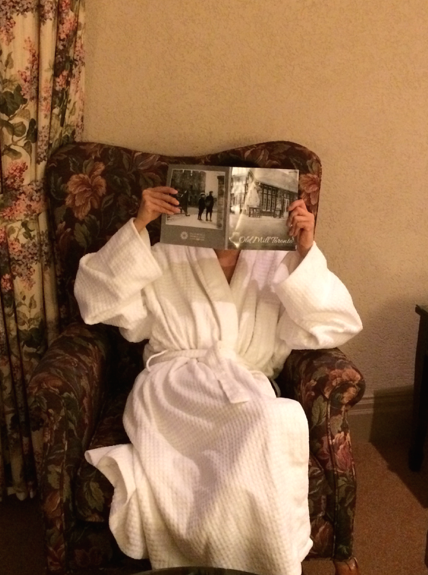 relaxing in my comfy robe….not quite camera ready yet! 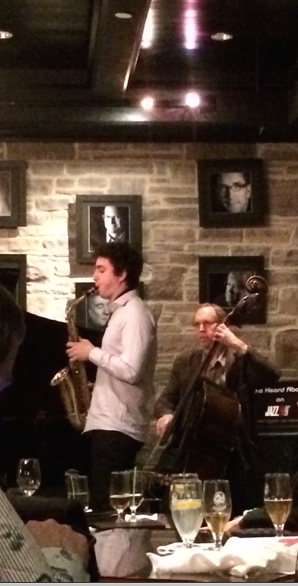 We missed the restaurant because they stop serving dinner at 8 pm so we opted to go to the Home Smith Jazz Bar where to listen to the Jake Koffman Trio. Both the ambience and music were nice. I liked that it wasn’t too big and crowded. The food was okay. I would try the restaurant next time and just order drinks and dessert at the bar. Before bed we took a wee stroll inside the property. There were 2 weddings happening and they both played the macarena at roughly around the same time. We were going to crash but we decided to be good. Haha. 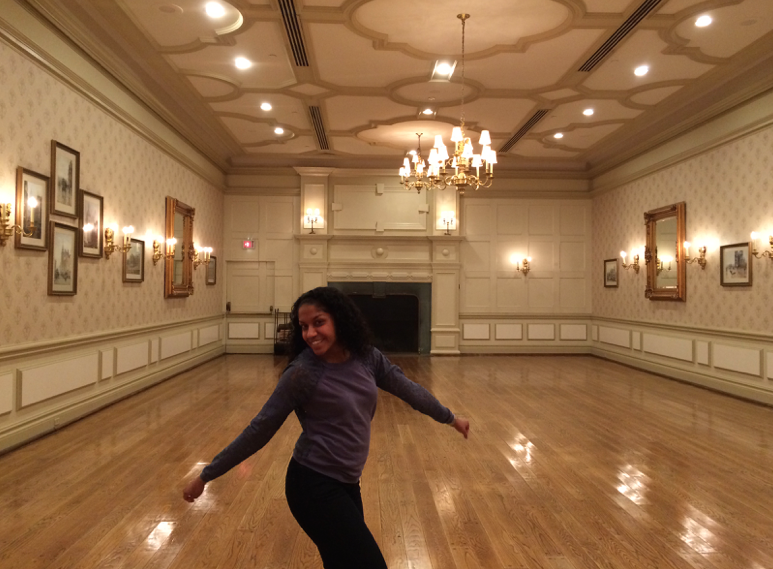 Instead we decided to take a peek inside the rooms so that CW can scout possible options for her future wedding. 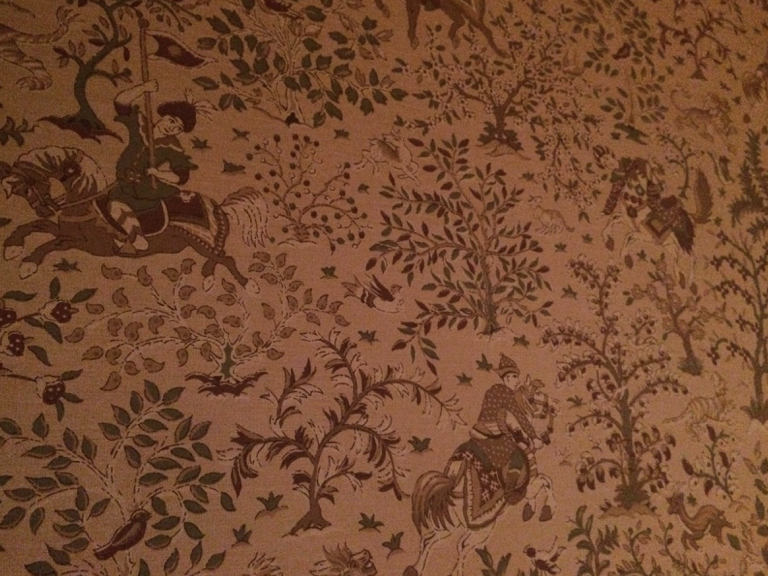 We discovered the Garden room and the cutest wallpaper. But the winner for CW was the Westminster. Overall we had a great time and would visit again in the summer so that we can explore the hiking trails. Where is your go-to staycation place in the city?